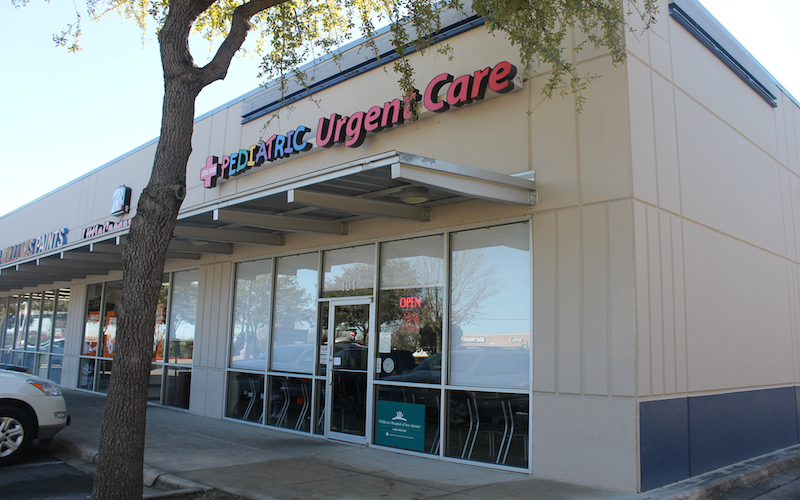 Little Spurs Pediatric Urgent Care, City Base is a pediatric urgent care center serving the children, adolescents and young adults in San Antonio with extended hours, making them a great option 7 days a week when your child's primary care office may not be open. You can find this clinic located at 3130 SE Military Dr, Suite 101 and patients can walk in to see them today from 9:00am to 9:00pm (last verified on 2018-08-10). Recognized favorably amongst their patients, Little Spurs Pediatric Urgent Care, City Base has an average rating of 4.7 stars out of 5 based on 346 total ratings. Nationally, most pediatric urgent care patients see average wait times between 15-30 minutes before being seen by a provider, which should be expected at Little Spurs Pediatric Urgent Care, City Base as well. the attending Dr. was awesome.the front desk staff could be better, smile, be more friendly. Estoy contenta por cómo han atendido a mis hijos. Gracias. Dr was great my daughter thought he was friendly and was able to talk to him. Great office and quick service! Doctor was very knowledgeable! I would definitely recommend!! Staff and doctor were awesome place was clean and sanitary. Awesome game place for kids healthcare! My son was complaining his ear hurt. We went in and onced signed in waited a few minutes before being called back. Everyone e was super friendly, and answered any questions I had. The dr took the time to listen to what my son was telling him and looking him over. Took my daughter in, wait time was short. In and out within the hour. Staff was friendly it went by real quick in the waiting room. I love this place they are always friendly and ready to help my babies thank you for all your wonderful work! Dr needs to examine children’s throat even though they know if it’s croup. As a parent I help drs with my kids, especially with my toddler cause he is hesitant to let his ears or throat to be examined. I always have a great experience. I would recommend having picture books for 4 years old and younger. Doctor was compassionate and very considerate of my daughter’s past medical history. Staff answered all my questions. Great service.